In a previous post we surveyed briefly the development of covenant theology in the 16th and 17th century (very generally). In this post, we’ll pick up where we left off, with a transition out of 17th Century and into the 18th and 19th centuries. This period in history has had a profound impact, not simply on covenant theology, or Christianity, but on the world as a whole. It was during the 17th and 18th centuries that the Enlightenment period found her roots, thereby raising the need to question everything, including the revelation of Scripture, and replace it with rationalism. Additionally other societal upheavals led to somewhat of a doctrinal wasteland; there was the schism in the Church of England by Baptists, Congregationalists, and Quakers, the colonization of America, the French Revolution, and generally speaking times of slumber for the church as a whole, out of which revival and the Awakenings were ushered in. Getting back to the topic of covenant theology, little advancement took place during this period (for our purposes late 17th/early 18th centuries). There were of course solid men whose sermons and writings reflect the continuation of covenant thought (Jonathan Edwards, John Gill, Benjamin Keach, and others to be sure), but because of the diversity of doctrinal confusion, rationalism, and doctrinal opposition, primarily to Calvinism and its Arminian response, its understandable that there were “bigger fish to fry” so to speak, than polemics between paedo and creedo baptists. However, moving out of the 18th and into the 19th century is a different story. The State Church of England now expanding, America now somewhat stabilized as a new country, the soil became ripe for novelty in the form of theological doctrines. Central to these developments was the aforementioned French Revolution and the related fervor over the study of prophecy. Enter on the scene in 19th Century England, Lewis Way, Edward Irving, and John Nelson Darby. 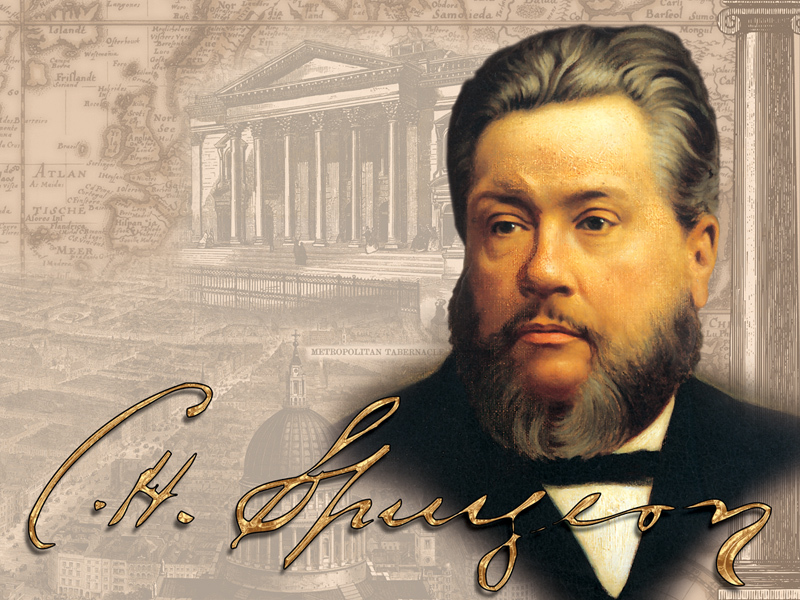 Sparking his interest in prophecy and an interest in the restoration of Israel, Way sought and found in the London Society an organization that suited his interests. In 1816, Way wrote and published his Letters which “stressed the connection between the return of the Jews to Palestine and their national conversion prior to the return of Christ.” It becomes clear then that Way’s theological view of the church and Israel would have a profound effect on how he viewed the covenants of Scripture, particularly the Abrahamic Covenant. Way’s thoughts did not operate in a vacuum and he soon found platforms for the spread of this renewed interest in the Jewish return to Palestine in the form of Conferences, namely the Albury Conferences of the late 1820’s. Capitalizing on the public fervor over biblical prophecy, Way along with his banker friend Henry Drummond, suggested that a private conference be held to discuss prophetic views. Among the attenders of these conferences was a man who would wield much more influence than Way, though share in a similar ideology. Edward Irving (1792-1834) was born in Scotland and raised Presbyterian. A brilliant thinker and master orator, Irving drank the prophetic kool-aid and through his skill and personality spread it to anyone who would listen. Irving’s reputation as a polished orator gained him large audiences and the attraction of men who needed a voice to promote their own agendas. In Irving, a wildcard, men like S.T. Coleridge, who convinced Irving of his own pessimistic views of eschatology and Hatley Frere, who developed a “new scheme of interpretation” based on the present fulfillment of Daniel and Revelation and promoted an “imminent return of Christ”. At the time of the Reformation, many of the Reformers had begun associating the rise of Antichrist with the papacy. Not any one particular pope mind you, but the papacy in general, thereby applying their historicist view of prophecy, specifically as it related to Revelation. In response, two Jesuits, Francesco Ribera (1537-1591) and Luis de Alcazar (1554-1613) published detailed studies of Revelation; the former with a futurist perspective and the latter with a more preteristic (fulfilled) perspective. Both set out designs to “get the monkey of the back” of the pope. For his part, Lacunza adopted the futurist position of Ribera, though with clearly a different outcome in mind. His was to stir the priests to study their dusty Bibles and to champion a revival of Antichrist origin from the apostate Roman Church. He published his scandalous views in The Coming of Messiah in Glory and Majesty, that called for a shift in the way one interpreted prophecy from what had been the more normative historicist view to a more futuristic interpretation. These views so profoundly influenced Edward Irving that he learned Spanish in order to translate Lacunza’s book into English and then appended his own 200-page preface to the work. This futurist view of end-time prophecy was virtually unheard of prior to the development and spread of the teaching of Irving, influenced by Jesuit Lacunza himself influenced by the futurist perspective of another Jesuit who had originated his view to remedy the pope-Antichrist connection. Nearly to a man, the covenant theologians that had formulated their doctrine based on Scripture and expressed it through such monumental confessions as the Westminster and Second London Baptist, held to a historicist view of prophecy out of which their postmillennial views were derived. Without question this new hermeneutic would profoundly effect how one would view eschatology and its relationship to the biblical covenants for centuries to come. In Irving, we find the advancement of the Jewish return to Palestine and prominence given to Israel in prophecy, a futurist view of prophetic interpretation, the incipient doctrine of a secret rapture, an imminent return of Christ, and a 2-stage return of Christ. It should also be pointed out that Irving’s influence did not rest in his eschatology alone, but by many accounts he may be called the Father of the Charismatic Movement. Another prominent figure in the history of dispensationalism, who sat under the teaching and influence of Irving was John Nelson Darby, referred by many as the Father of Dispensationalism. Keep in mind through our historical survey and outline of dispensational origins that this doctrine is nearly at the opposite end of the spectrum from the Covenant Theology that was so prominently, dare I say exclusively, held at the time. Darby gained much of his theological influence through the Powerscourt Conferences, where “the teaching of a pretribulation rapture of the Church took shape.” The role of Darby amongst a dissenting church group known as the Plymouth Brethren must at least be mentioned because of their influence on views of church membership and ecclesiology in particular. Their dissatisfaction with the church was at least in part drawn from a publication by Edward Irving entitled, Babylon and Infidelity Foredoomed. Summarizing these views highlights the “dichotomy between Israel and the church [that] was forming in the thought of Darby, growing out of a rigidly applied principle of interpretation,” while Newton’s view represented the common view of the time, i.e. continuity between the Old Testament and New Testament saints (generally held by both streams of Covenant Theology). The fractured relationship between Darby and Newton, primarily over doctrinal concerns, would never heal. Through the writings and speaking occasions of Darby, Brethrenism would continue to spread throughout Europe, but it wasn’t until he began his international ministry that the course for dispensationalism’s zenith would be charted. With this overview on the development of an alternative view to covenant theology, previously unknown in church history, brings us to the late 19th/early 20th Century and the spread of Darby’s dispensationalism to the United States. A transition which would profoundly alter and perhaps forever change how prophecy and the covenants from Scripture would be approached and interpreted. On this point we will pick up in the next post. http://www.jewishencyclopedia.com/articles/14801-way-lewis (Accessed March 25, 2014). Arnold Dallimore, The Life of Edward Irving: The Fore-runner of the Charismatic Movement (Carlisle, PA: The Banner of Truth Trust, 1983), 59-60. George Eldon Ladd, The Blessed Hope (Grand Rapids, MI: Eerdmans, 1984), 41. Clarence Bass, Backgrounds to Dispensationalism: Its Historical Genesis and Ecclesiastical Implications (Grand Rapids, MI: Baker Book House, 1977), 76.